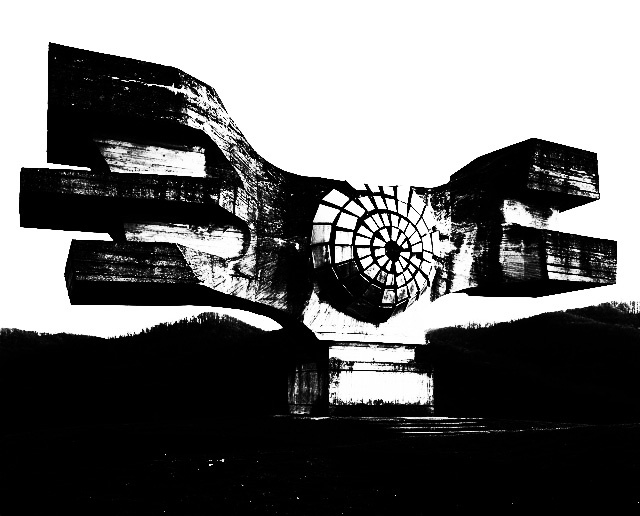 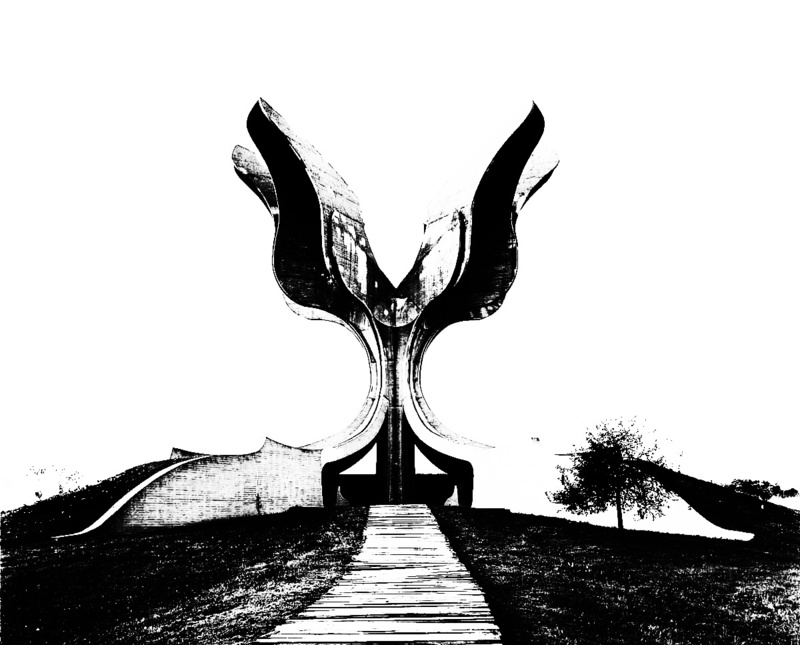 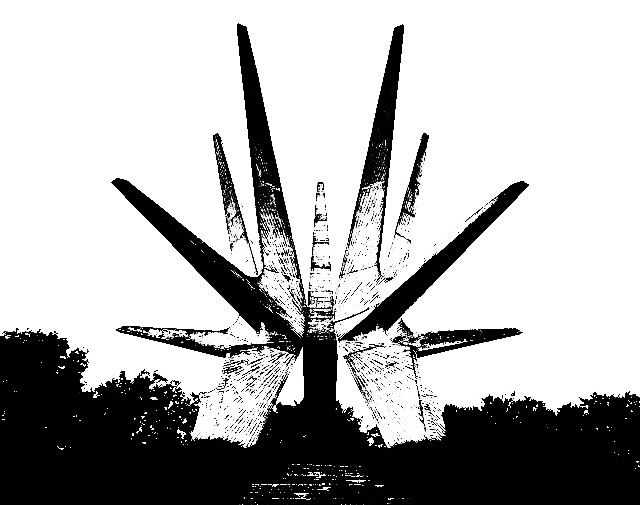 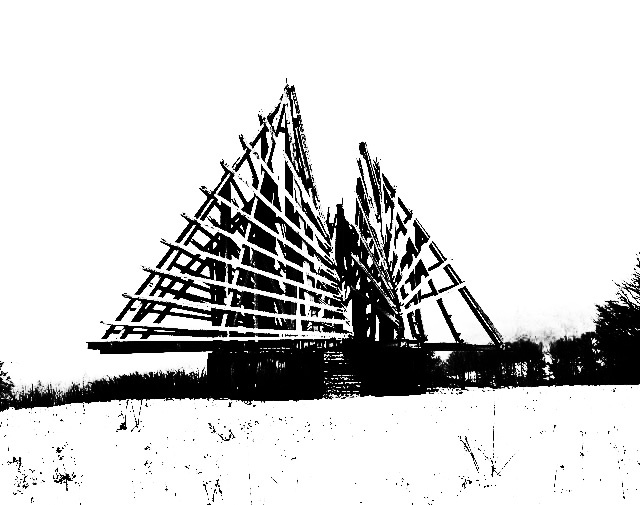 Jan Kempemaers’ Spomenik from 2010, contains his photographs of structures that were created in Yugoslavia in the 1960s and 1970s as memorials to the Second World War but which now apparently are largely abandoned. 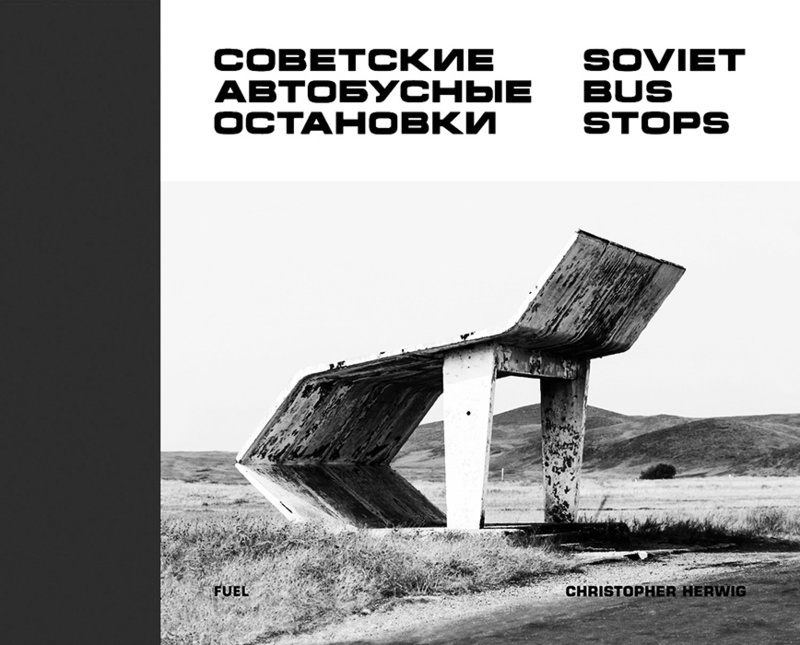 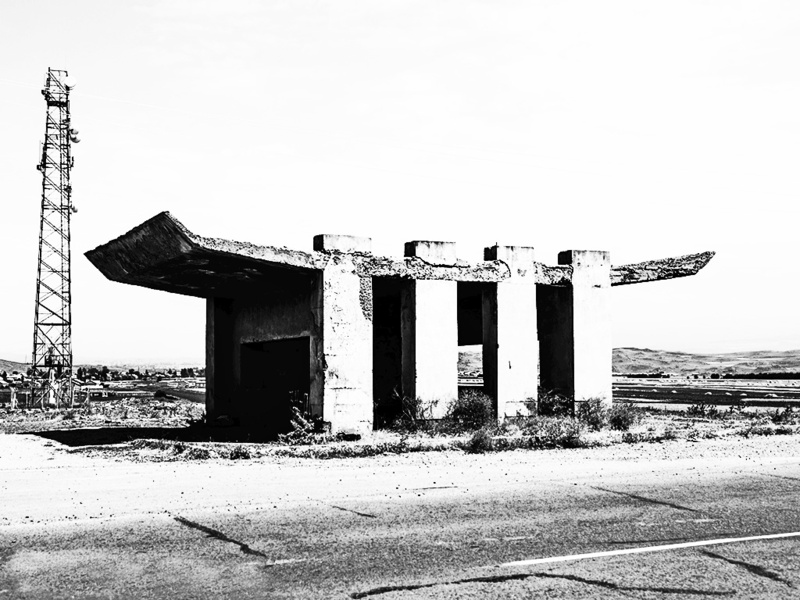 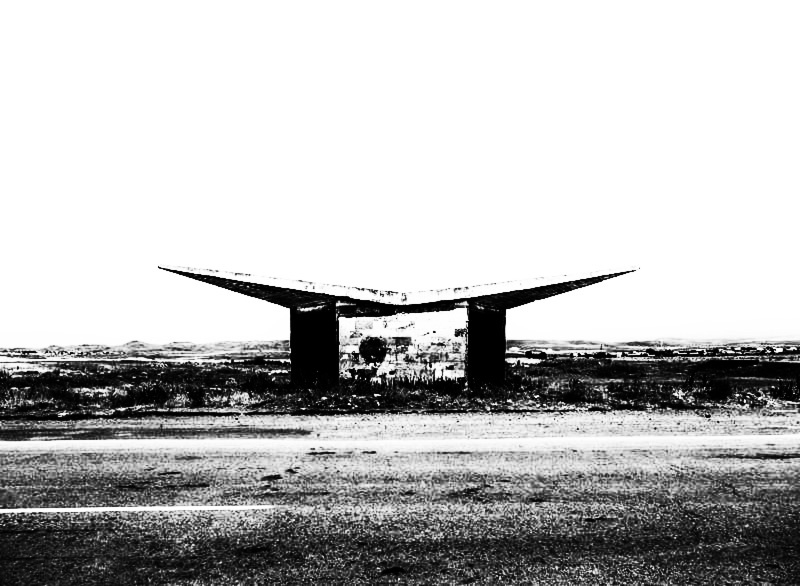 “The structures photographed in (Christopher Herwig’s Soviet Bus Stops) could also be considered in the eyes of some beholders to have gained elements of being utilitarian or pragmatic accidental art. 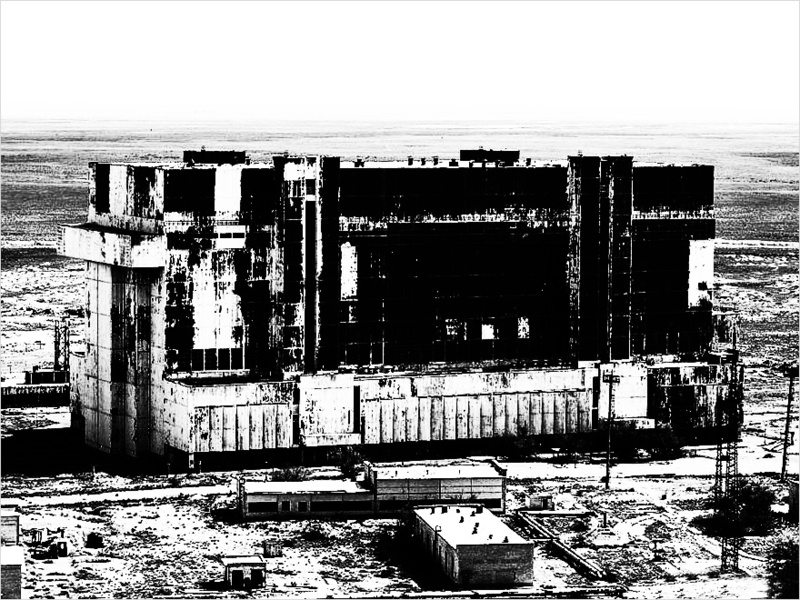 “Today there is a considerable amount of photography out in the world and particularly online that focuses on derelict buildings, machinery and so on and which is sometimes referred to as urban exploration or urbex photography. 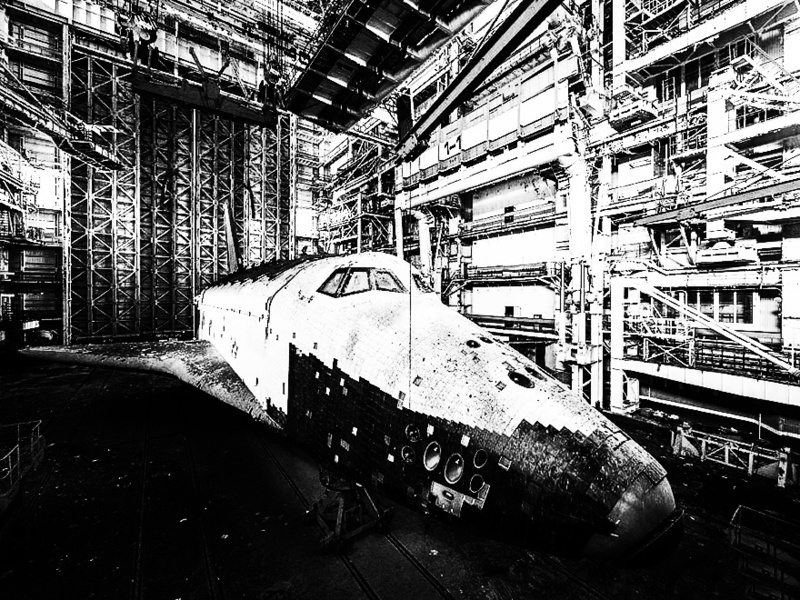 However, in amongst the masses of such photography, Ralph Mireb’s images of abandoned and incomplete Soviet era space shuttles (which are a curious simulacra of the American space shuttle in terms of design and can be found at the website Bored Panda) stand out. 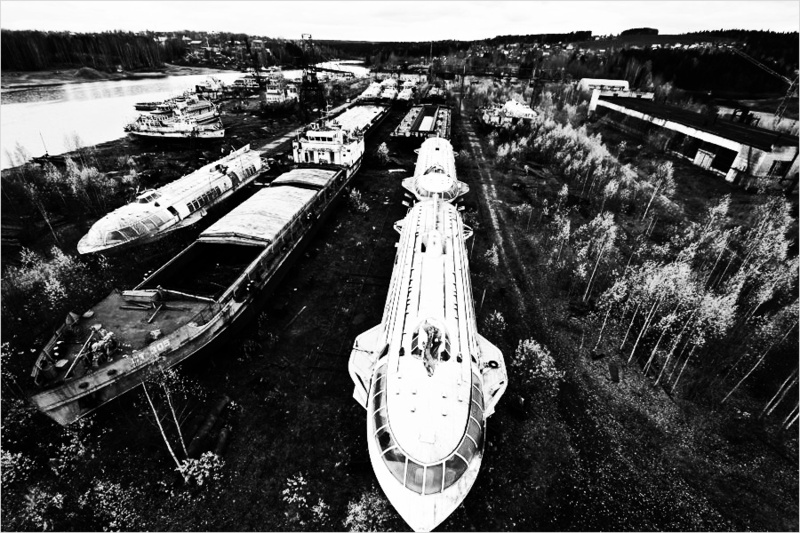 “In terms of vehicle design, in the Soviet Union there is a cul-de-sac that could well be called “The Shape of the Future’s Past” which takes in abandoned Soviet era hydrofoils and which were known as river rockets. 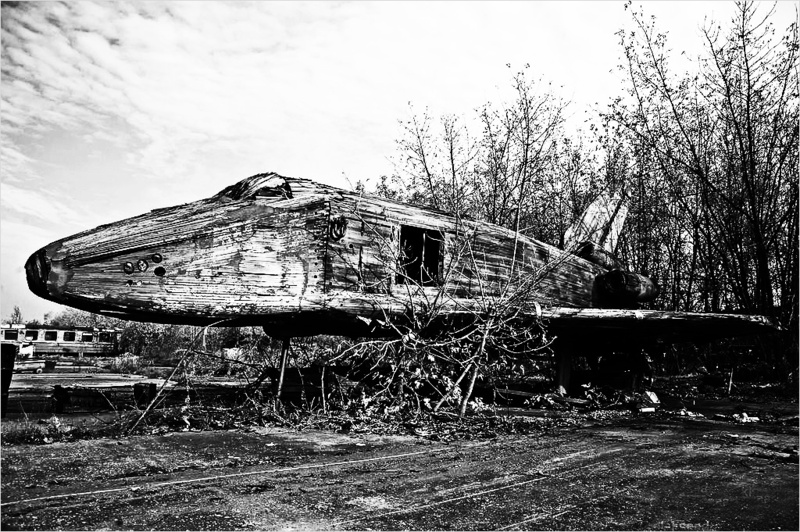 These were made from the mid-1950s to mid-1970s and viewed now with their sleek, finned, almost space vehicle like designs appear as prototypes for a mid-century modern, atomic age take on how the future was to be. 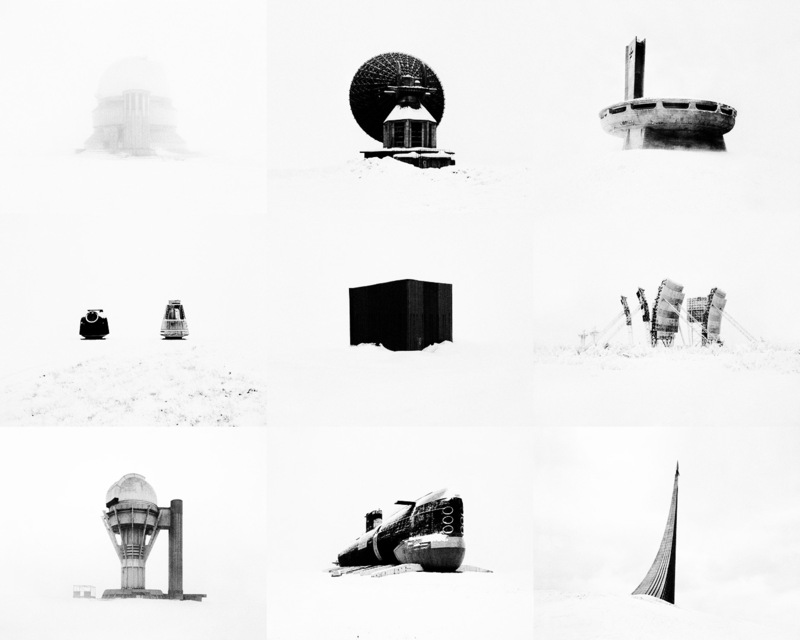 “Throughout this chapter a number of times (I refer) to a sense of the science fiction-esque or fantastical, often accompanied by a grand sense of an empire and its once ambitions, which many of these photographs imply. 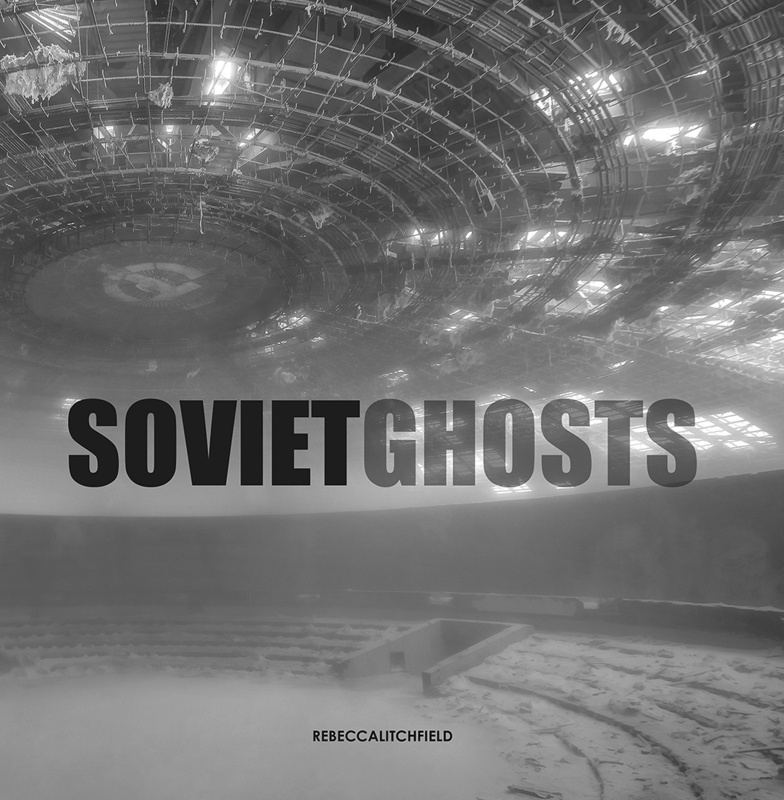 This is particularly captured by the cover of Rebecca Litchfield’s Soviet Ghosts, a book released in 2014 which focuses on the extent of abandonment in the former Soviet Union and its satellite states in the Eastern Bloc.